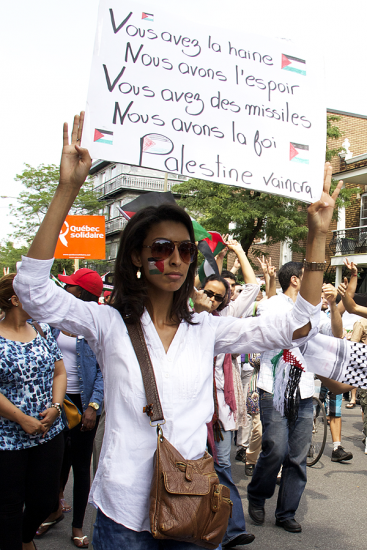 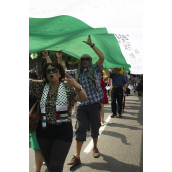 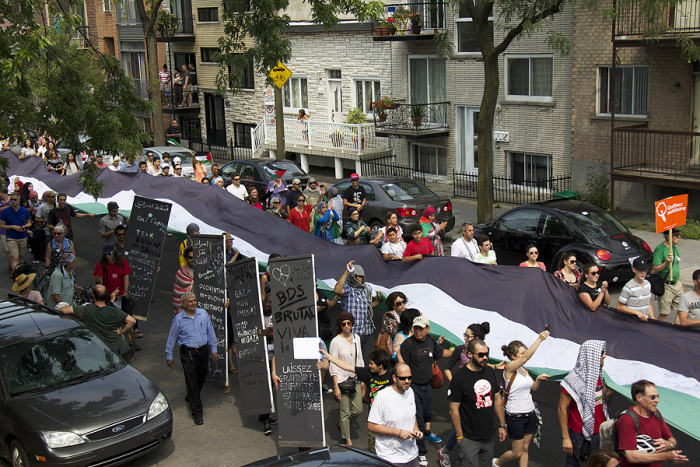 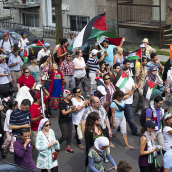 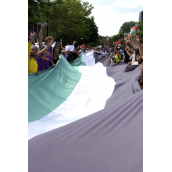 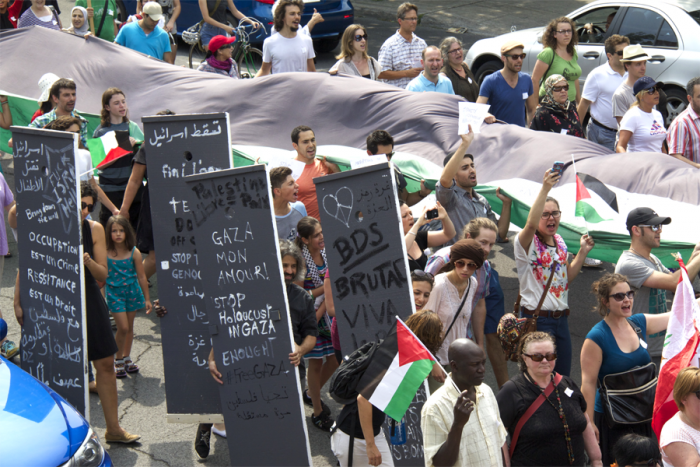 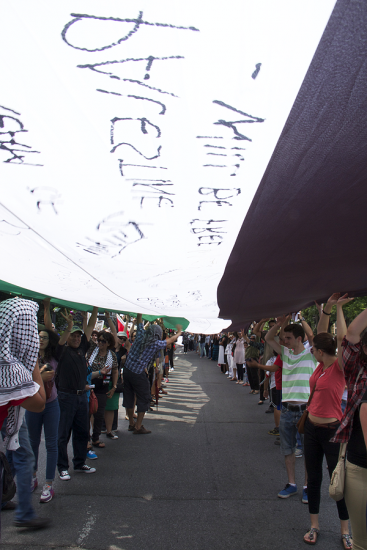 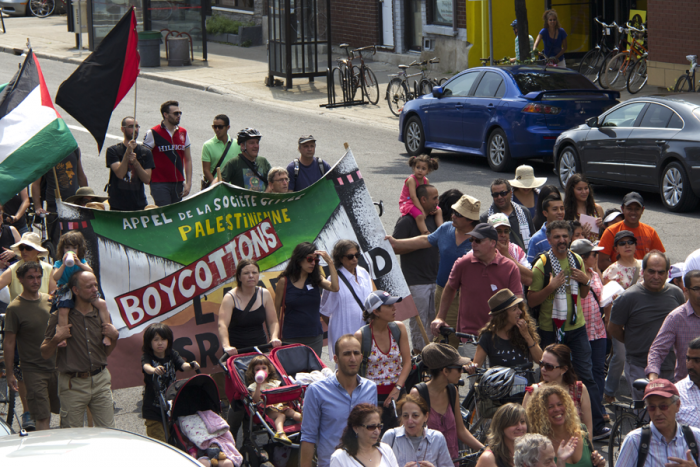 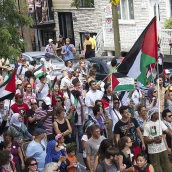 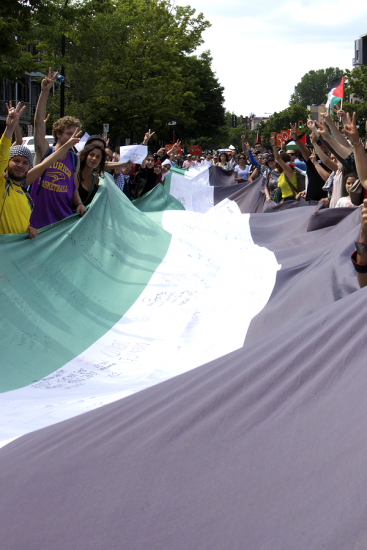 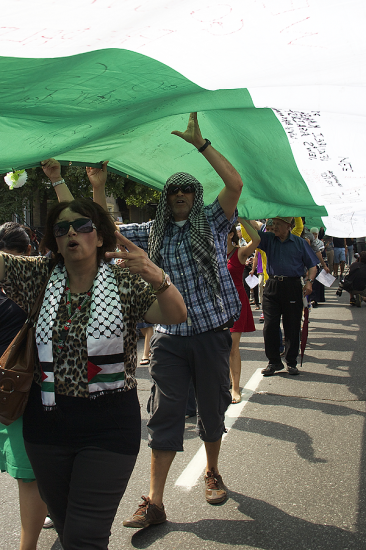 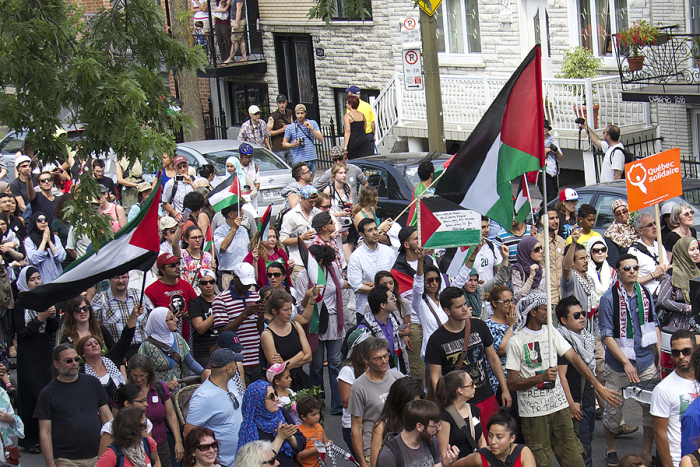 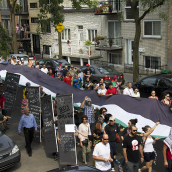 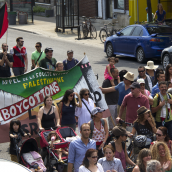 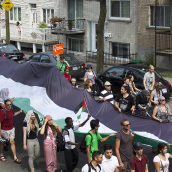 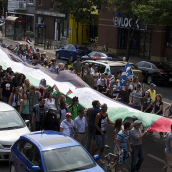 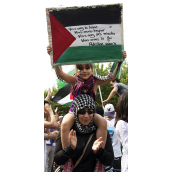 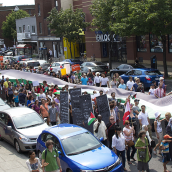 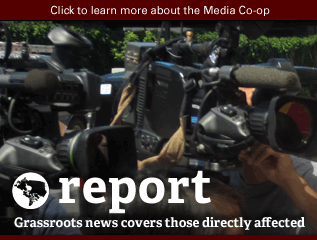 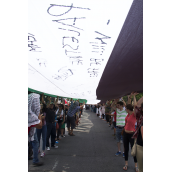 For the third time in less than 10 days, hundreds of Montrealers took to the streets on July 19 to demand an end to Israel’s war crimes and violations of international law. 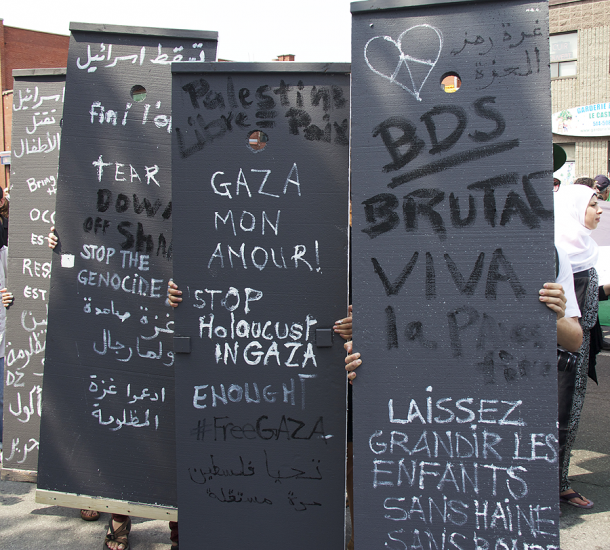 ﻿Ten years after the International Court of Justice ﻿ruled Israel’s Apartheid Wall illegal, the wall continues to divide Palestinian families, expropriate Palestinian land, and serve as a visual reminder of the system of Apartheid that Israel has instilled both within the Occupied Palestinian Territories and within Israel proper. 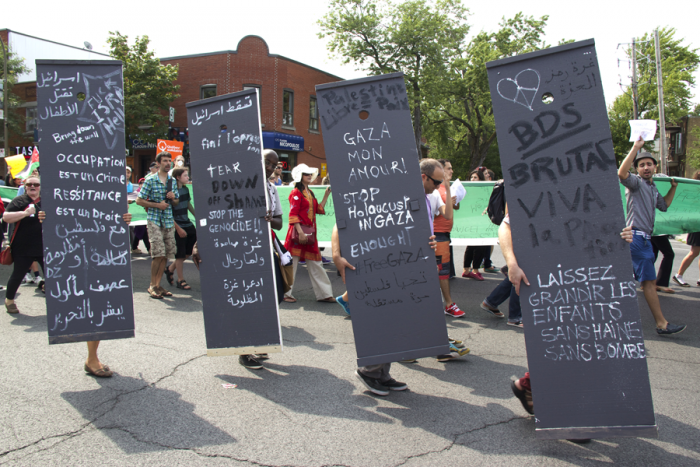 Protesters in the hundreds marched through the Jean Talon district demanding an end to Israel’s deadly assault on Gaza that has killed over 435 Palestinians, one third of whom were women and children, since Israel launched an offensive operation entitled “Operation Protective Edge” on July 8. 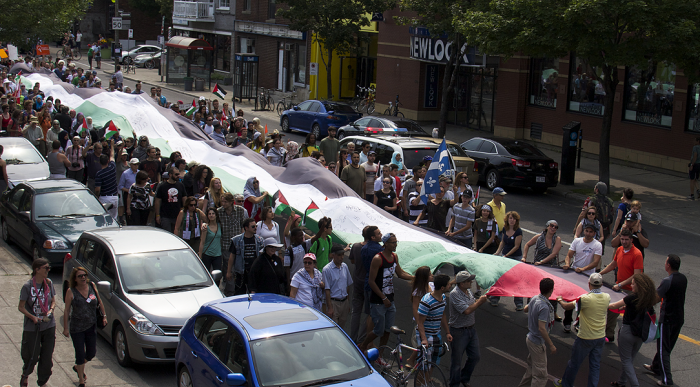 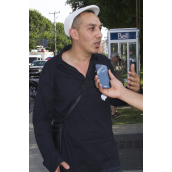 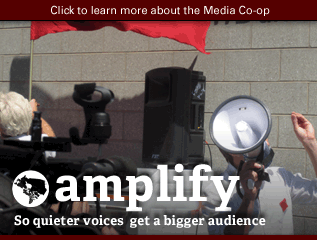 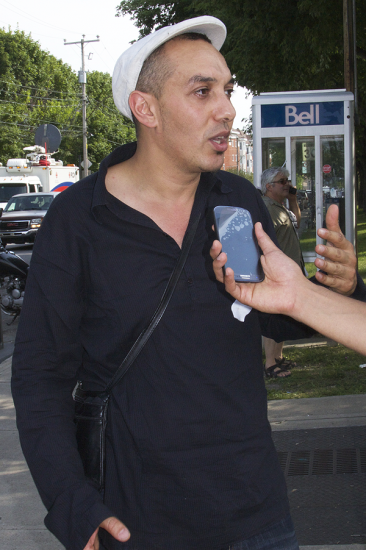 Protesters stopped in front of the ﻿G4S﻿ Montreal Office calling for its boycott and divestment. 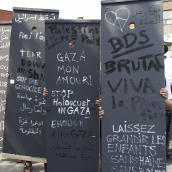 ﻿﻿G4S﻿ is a British-Danish securi﻿ty company ﻿that supplies services and equipment to Israeli prisons where Palestinians are held without charge or trial in Administrative Detention and where torture against Palestinian political prisoners has been proven to be rampant. 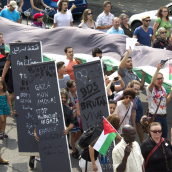 It also supplies the full-body scanning equipment to the more than 500 checkpoints that operate along the Wall that impede Palestinian freedom of movement. 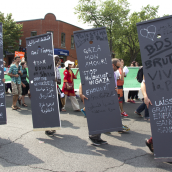 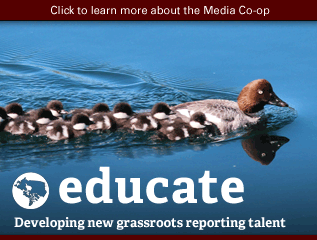 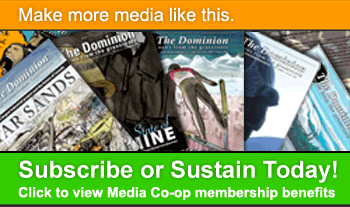 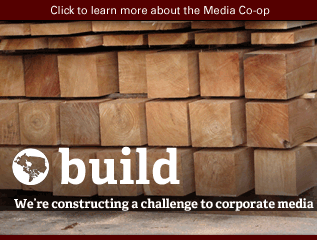 Protesters called on the Quebec Government, which holds shares in the company, to divest from it just as the Bill and Melinda Gates foundation did last month.